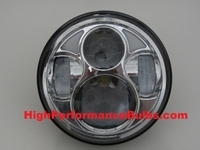 Upgrade your Harley Davidson 5-3/4 inch headlight with our LED 5-3/4 inch Chrome Projector headlight upgrade! 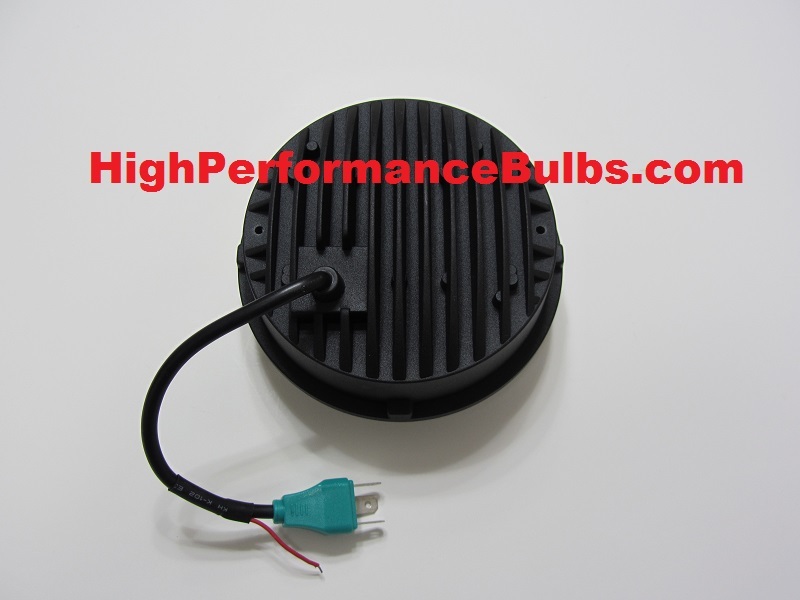 Using powerful Cree LEDs this 5-3/4 inch LED projector headlight is a direct replacement for the factory 5-3/4 inch halogen headlight housing, simply unscrew the screw from the mounting ring, remove the halogen glass housing and unplug the bulb, plug in the new LED projector housing and place it in the headlight housing, replace the mounting ring and put the screw back in and you are done! With a 1500 Lumen low beam output and a 2000 Lumen high beam output this LED 5-3/4 Projector headlight will provide whiter (6000K) and brighter light output then the factory halogen headlight and update the look of your Harley Davidson Motorcycle. 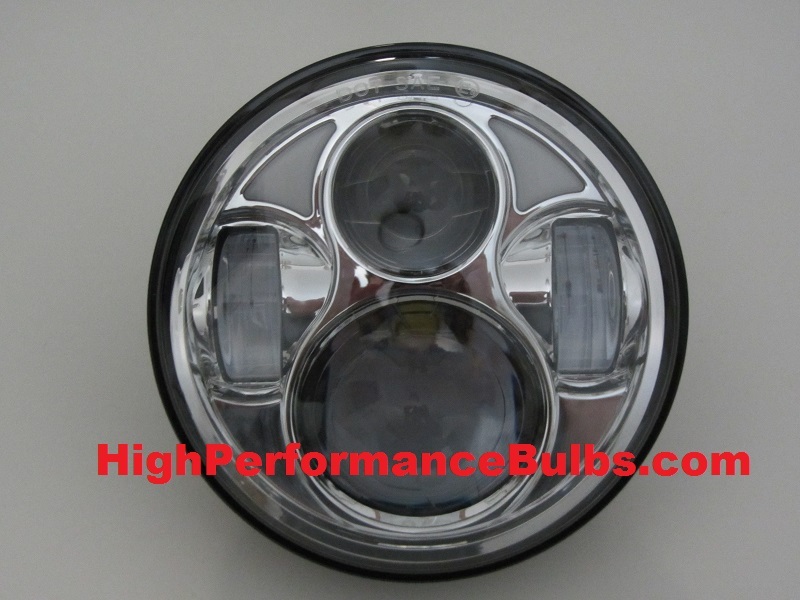 The LED 5-¾ inch Chrome Projector Headlight for Harley Davidson Motorcycles also has an optional Daytime Running Light (DRL) wire lead that you can hook up to an ignition power source or current to have additional daytime visibility to oncoming drivers.